The unlocked version of the iPhone 4S is now available in the US. If at first, iPhone 4S was available only from US carriers such as Sprint, AT&T and Verizon, Apple is now selling the unlocked version. If this sounds appealing to you, you should know you can buy the unlocked version directly from Apple online or Apple stores. 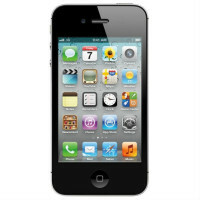 The 16GB version of iPhone 4S can be purchased for $649, the 32GB version for $749 and the 64GB iPhone 4S for $849. The smartphone, which has white and black coats, brings a dual-core A5 chip, 16GB, 32GB or 64GB capacity, a 3.5-inch Multi-Touch display with 960×640 resolution, retina display, three-axis gyro, accelerometer, proximity sensor and ambient light sensor. Also, the handset packs an 8MP camera with auto-focus, tap to focus, face detection in still images, LED flash, HD video recording, video stabilization, video and photo geotagging and a front camera with VGA quality. Moreover, it has Bluetooth 4.0 and Wi-Fi connectivity. Of course, we shouldn’t forget about the fact that it is running the iOS 5.